If you have been following this blog, you know that I love preparing different types cultural cuisine and experimenting with game meats. I have prepared more than a few dishes consisting of game that were made available to me from my good friends at Fossil Farms. They specialize in farm raised game & all natural meats and I often take the hour and fifteen minute drive from NYC to purchased their products. Since I discovered this place I have been able to purchase meats such as elk, antelope, ostrich, wild birds, alligator, yak and quite a few more interesting proteins. I am an adventurous food person and not scared to try game. I either dislike it and will never eat it again, or I love it, and it becomes part of my game menu rotation. 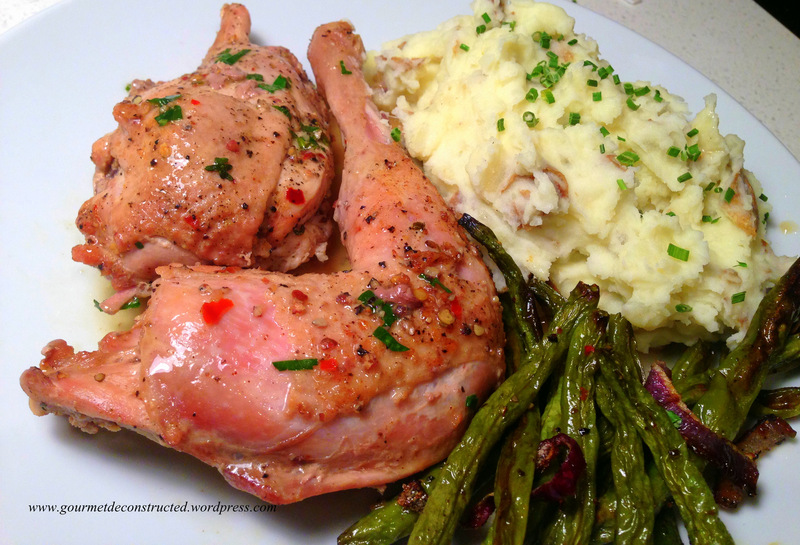 I really enjoy taking classic recipes, and turning it them into a wild game experience. But I also have my limits of where I draw the line on which foods I wish to try, or at least I thought. I have been on an interesting culinary adventure over the last 3 weeks. 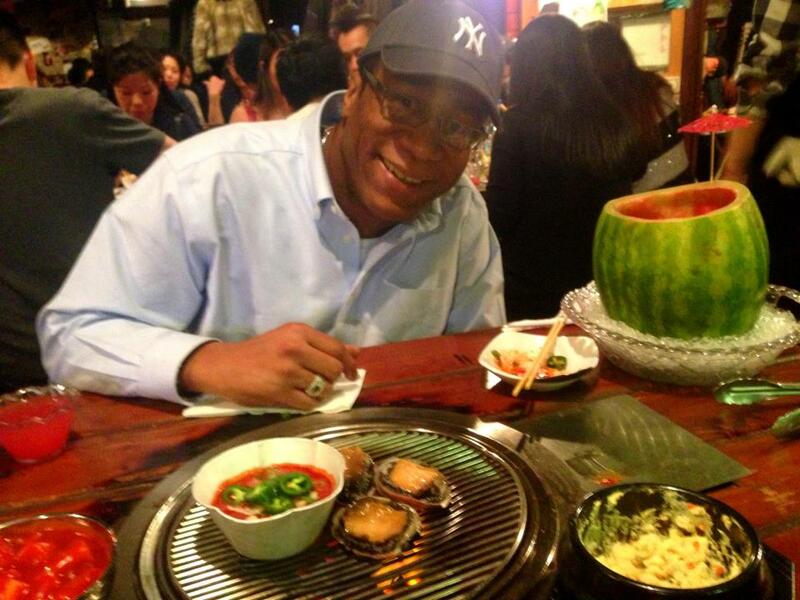 It all started at a Korean restaurant named Sik Gaek in Queens, NY which specializes in seafood. This is where I crossed my own culinary line for the first time. I noticed that on the menu there was abalone (which I’ve always wanted to try) and ” live” octopus, WHAT?! I have watched people eat it on TV and it always made me say “I would never eat that”! First the waiters bought out this really good drink called Watermelon Soju; which was a whole watermelon cut 3/4 of the way and filled with some type of alcohol mixed with the watermelon flesh. The live octopus actually started to sound really interesting after I had a few cups of this drink. Amazingly, it was not bad at all! 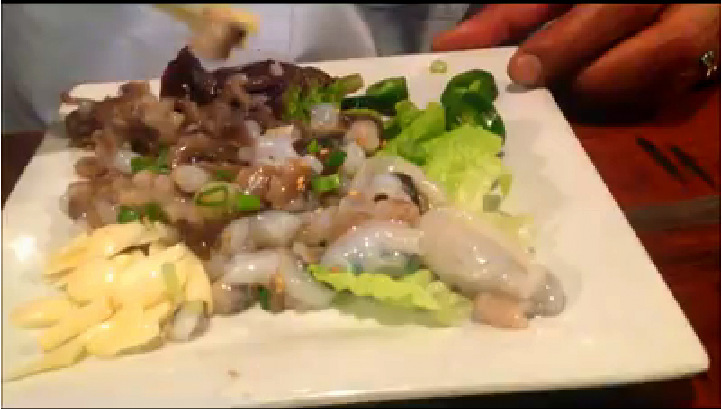 It had a sort of texture like raw clams but a little more slippery. They gave us these cool chili sauces that made it taste really good, I would do this again! The fun continued at home, since I just made a recent trip to Fossil Farms and picked up some goodies. In addition to the game meats I usually purchase, I also grabbed some venison Osso Buco, wild boar Osso Buco, pheasant, and Iberico tenderloin. I don’t eat pork, but hey, this will be my year to try and being more adventurous and experimental with food. The acorn fed black Iberian pig is a premium pork product and is indigenous to the Mediterranean area. I simply stuffed the tenderloin with a homemade apple and chestnut stuffing, yum! 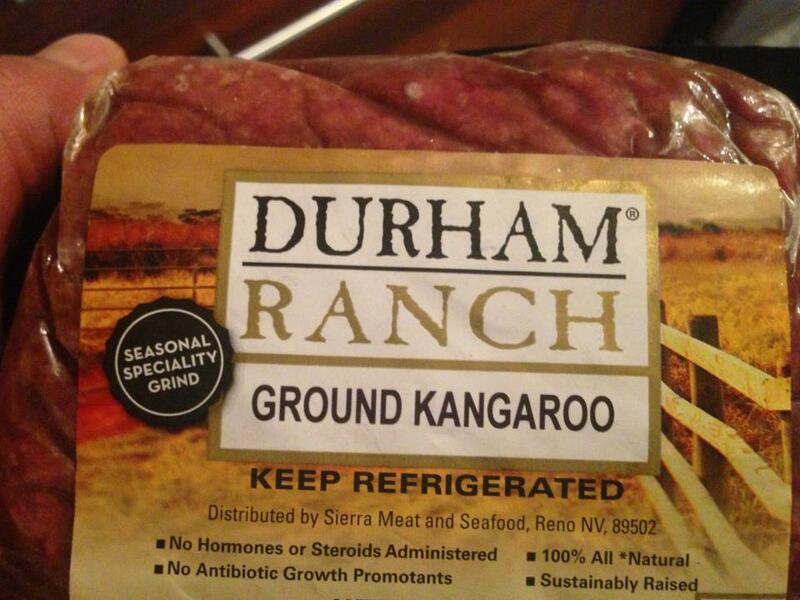 But the most interesting meat I picked up this time was ground kangaroo. One day about a year ago my girlfriend Emily and I had a conversation about different types foods that we have no desire to try. Kangaroo just happened to be amongst our undesirable foods we swore we would not try, wrong again. After doing some reading about how this meat is becoming a really popular and how it is an up and coming protein used by chefs all over the world, I figured I’d give it a try. It is a lean and healthy like most game, and the taste was not bad at all. 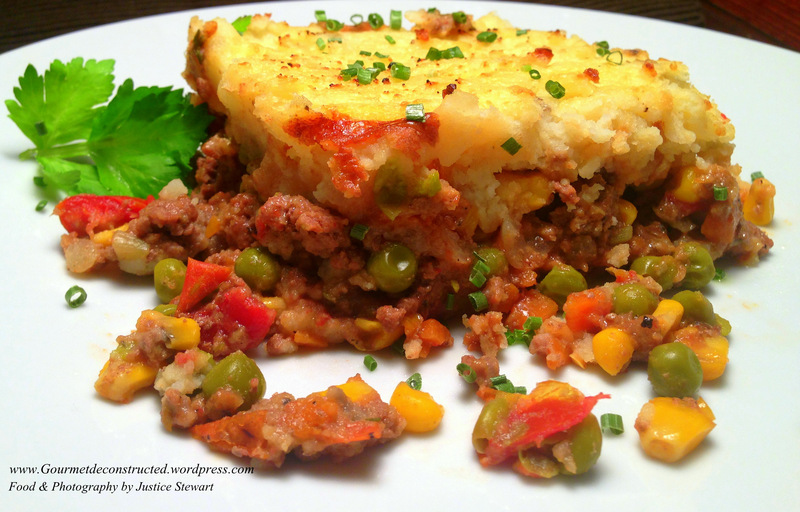 I decided to use the kangaroo meat in a gourmet Shepard’s pie, since it was a day before St.Patrick’s Day when I prepared it. I infused the potatoes with Vasterbottensost cheese from Sweden and added some corn to the meat stuffing to give it a sort of Australian/Irish/Swedish/U.K./Americas connection. The dish was simple and delicious and I must say that kangaroo meat is definitely something I would try again. Maybe this time I can grab some steaks! I have now decided that I will never say never when it comes to food and cooking. 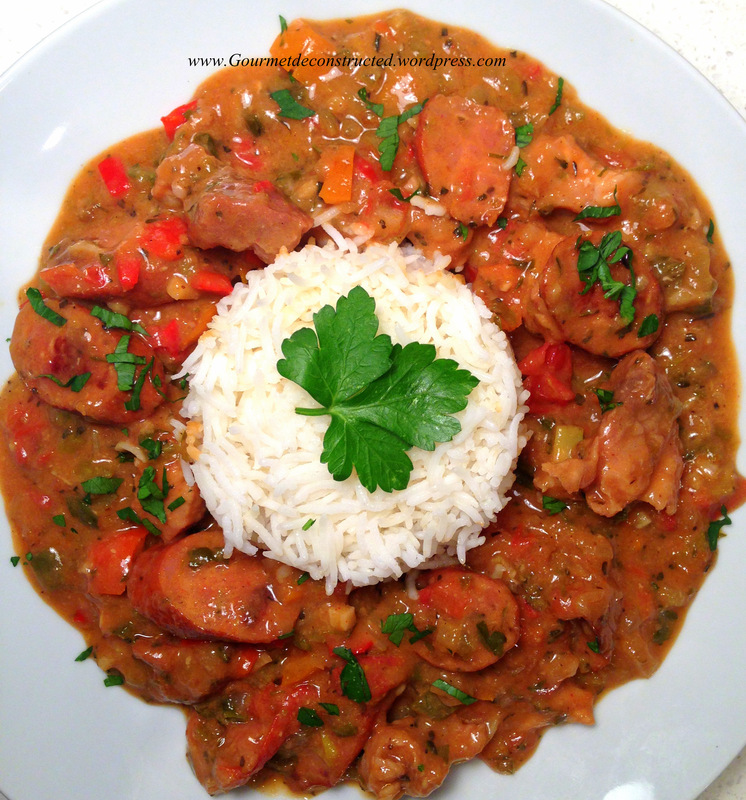 I have added some of the photos of a few of my game dishes over the last few weeks, enjoy! If you are in the tri-state area, get on over to Fossil Farms at 81 Fulton street in Boonton NJ and see how adventurous you are when it comes to food and cooking. Bon Appetit! Posted on March 21, 2013, in Foodie Road Trips & Other Fun Things, Wild Game and tagged alligator meat, Andouille sausage, cajun, creole, elk meat, etoufee, Fossil Farms, Iberico pork, Kangaroo meat, lingonberry sauce, pheasant, shepard's pie, wild game. Bookmark the permalink. 8 Comments. Love this post! I’ll have to find a place to pick up some kangaroo and give it a whirl. Thanks! 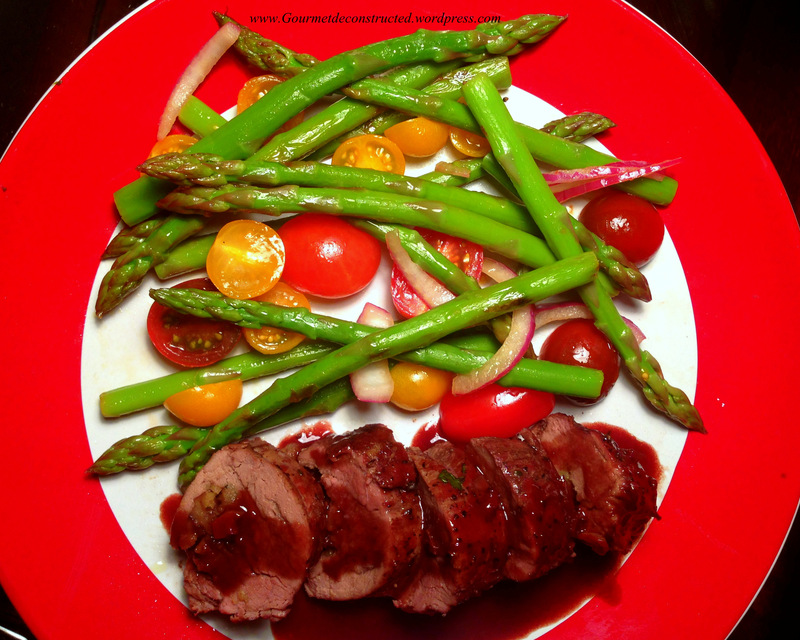 Thank you for trying this fabulously tasting lean and healthy meat! I wish you had begun with just a plain kanga fillet grilled rare + minimal accompaniments. Perhaps a red wine jus . . . I am an ardent greenie . . . kangaroos are not raised in cruel circumstances: they live their lives to the full and get one accurately placed shot in the head whilst happily hopping with huge herds which have to be culled! Wonderful protein with heaps of taste! Thanks as always!!!!! !